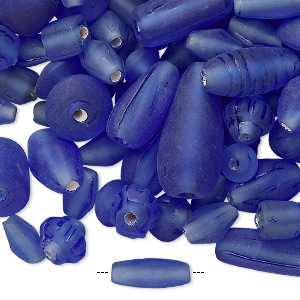 Bead mix, glass, translucent matte medium blue, 7x4mm-21x11mm mixed shape. Sold per 50-gram pkg, approximately 60 to 100 beads. Item Number: H20-5092GB Have a question about this item? 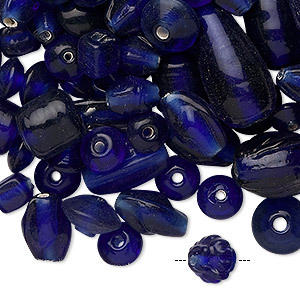 Each 50-gram package contains approximately 60-100 beads depending on the size of the beads. Sizes, shapes and colors may vary with handcrafted items. 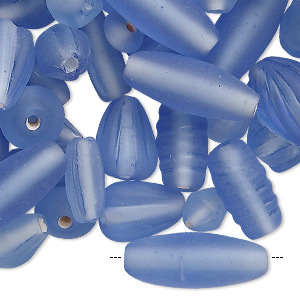 Bead mix, glass, matte light blue, 7x4mm-21x11mm mixed shapes. Sold per pkg of 50 grams. 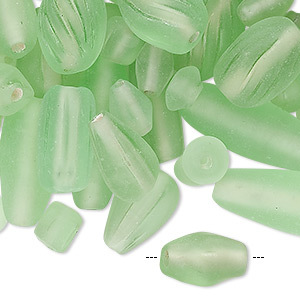 Bead mix, glass, matte pale green, 7x4mm-21x11mm mixed shapes. Sold per pkg of 50 grams. 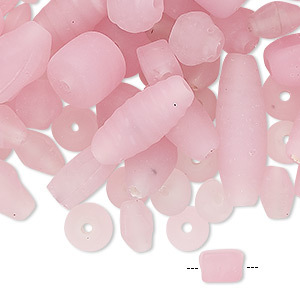 Bead mix, glass, matte pink, 7x4mm-21x11mm mixed shape. 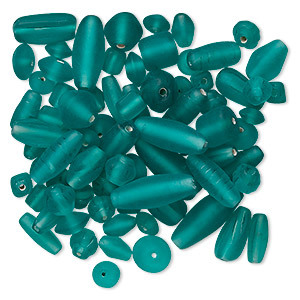 Sold per 50-gram pkg, approximately 60-100 beads. 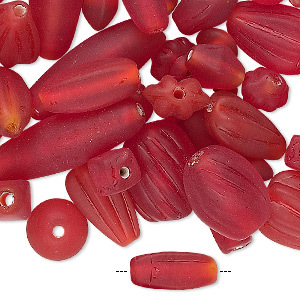 Bead mix, glass, matte red, mixed shape. Sold per 50-gram pkg, approximately 60 to 100 beads. 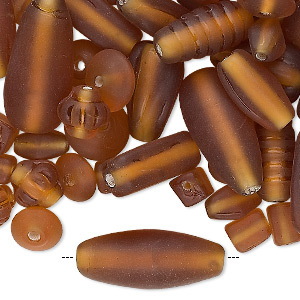 Bead mix, glass, translucent matte amber yellow, 7x4mm-21x11mm mixed shape. 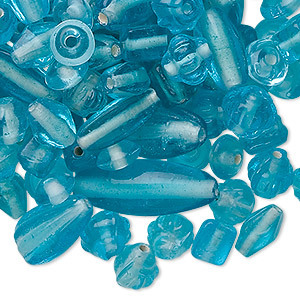 Sold per 50-gram pkg, approximately 60-100 beads. 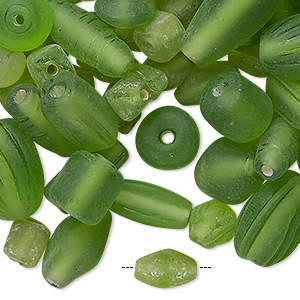 Bead mix, glass, matte lime green, mixed shape. Sold per 50-gram pkg, approximately 60 to 100 beads. 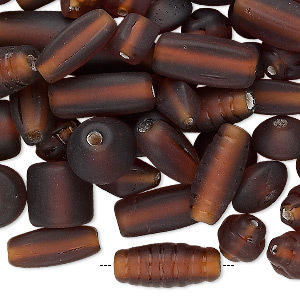 Bead mix, glass, matte dark brown, 7x4mm-21x11mm mixed shapes. Sold per pkg of 50 grams.